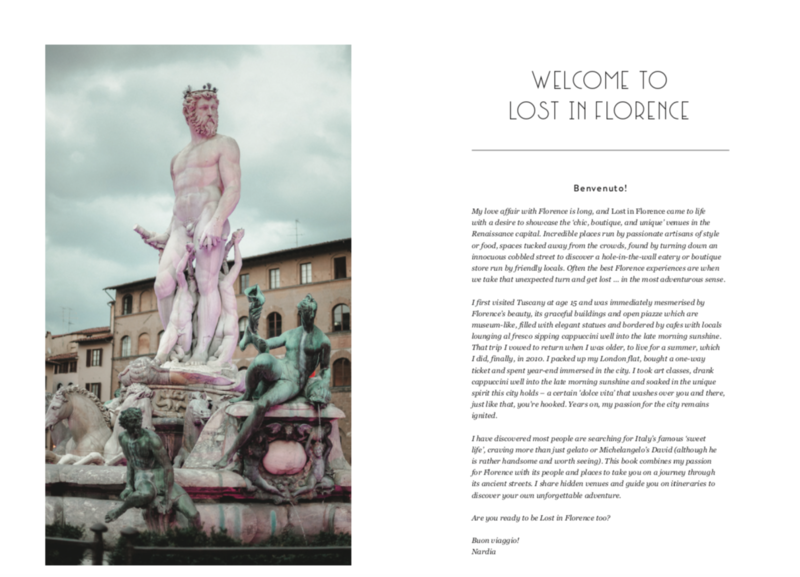 Lost in Florence | Lost in Florence - the book! Florence is renowned for the Renaissance and its art, and Tuscany famed for its food. Yet this city is more than a tourist destination filled with gilt-framed art in grand galleries. 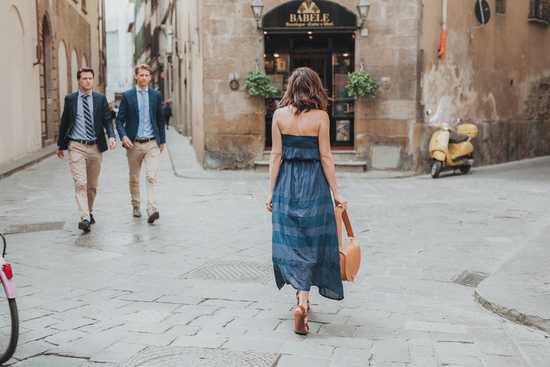 Go beyond the facade of the palazzi and the cobbled pavements to discover a city rich with a creative energy and unique outlets by new designers and artisans of style. Take a turn down the side streets to discover the local designers, makers and even the bakers of this vibrant city plus boutique hotels in 16th-century buildings, vintage stores housing designer names, home wears from antique markets, and modern Italian design we have all come to know and love. Italian's pride themselves on a quality of life – la dolce vita – and Lost in Florence, the book, takes you to the places beyond the tourist spots ideal for the curious traveller who wishes to discover the unexpected, making this an indispensable book for anyone visiting, or living, in Florence. 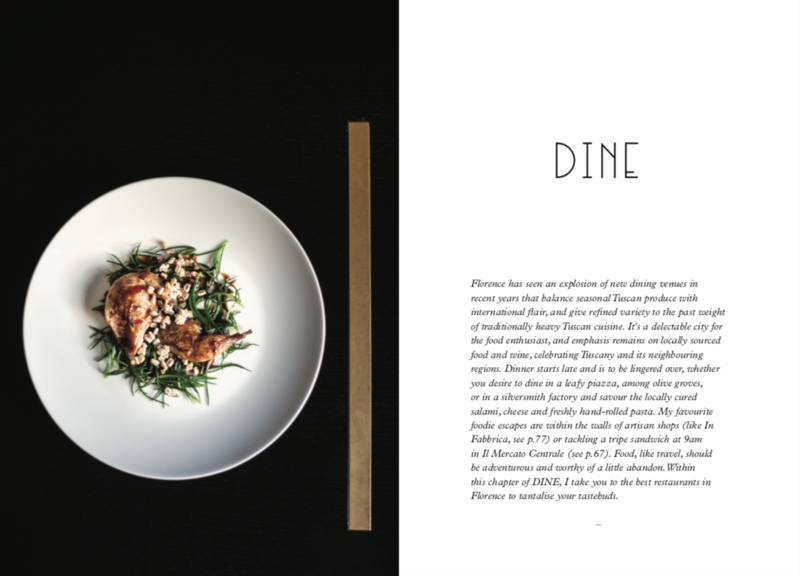 Featuring over 150 venues covering the categories of Wine, Dine, Fine, and new gallery section, Sublime. 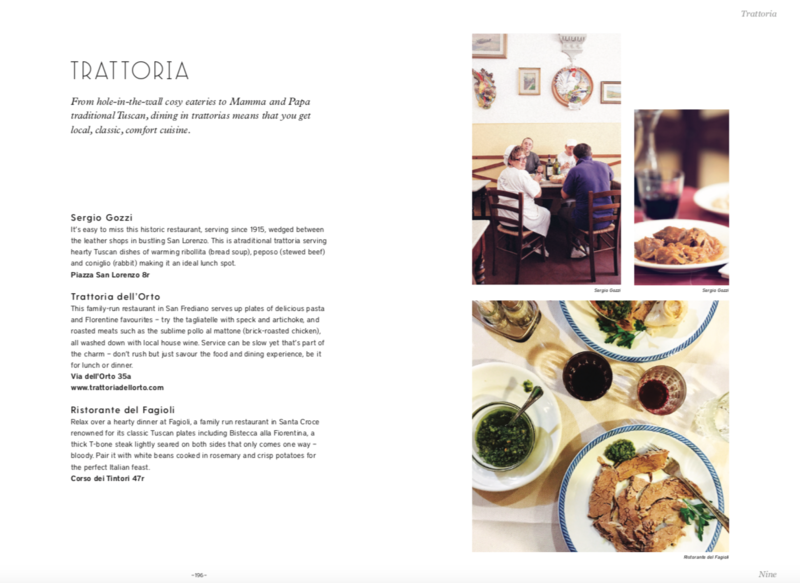 There are tips and tricks within The Essentials, listical round ups in Nine covering everything from aperitivo to gelato and pizza. 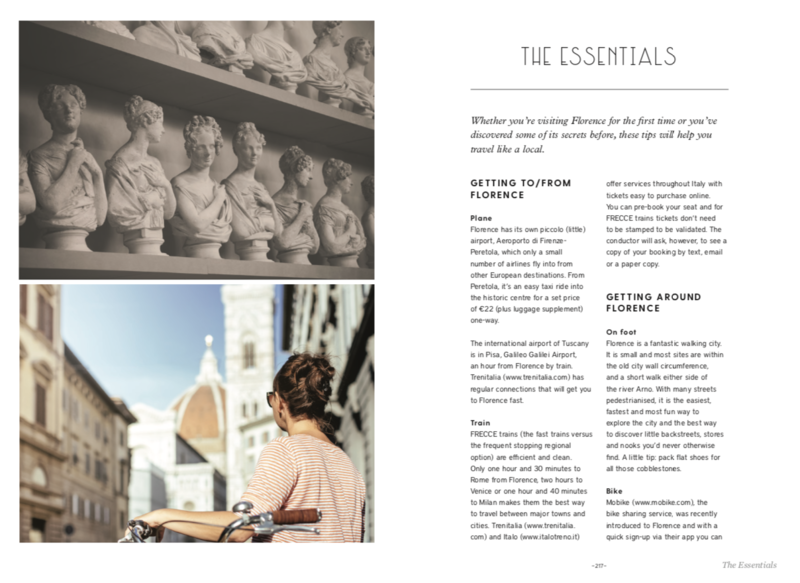 Plus unique itineraries on how to spend time on a sunny or rainy day, Florence for foodies, and fashionistas. And more. Read all about it via publisher Hardie Grant. 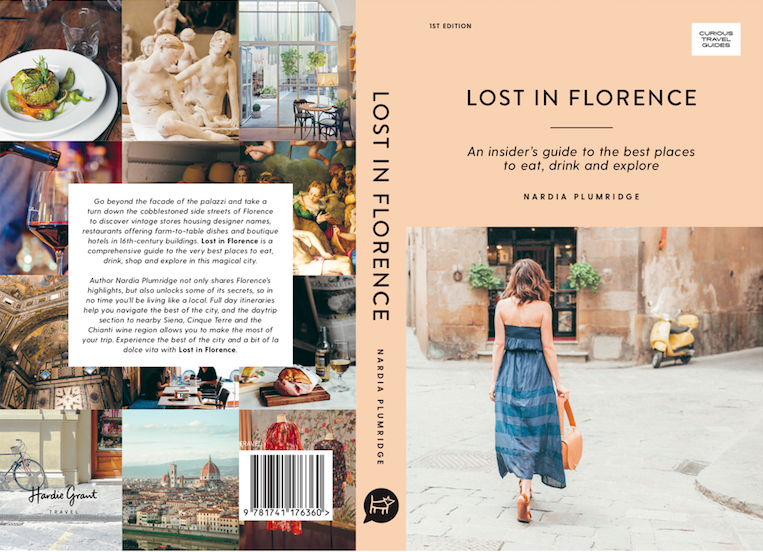 * ABOUT FLORENCE: an overview of the city and what makes it so unique today. * NOTABLE NEIGHBOURHOODS: covering the eight main areas within the historic centre. * WINE: from cappuccino to cocktail hour, a curated list of the best venues to enjoy a drink any time of day. * DINE: hole-in-the-wall eateries serving local fare, to Italian with a contemporary twist in unique locations, you’ll have fun finding, then dining, in these establishments. 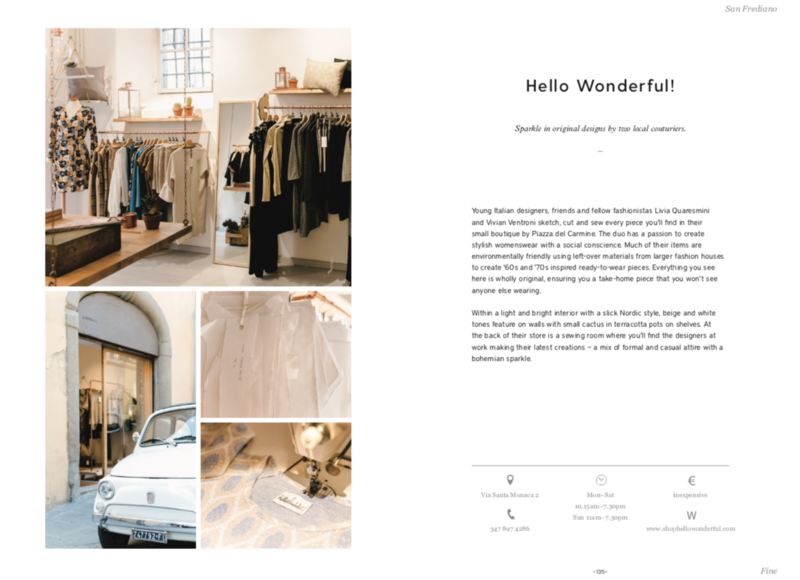 * FINE: from clothing, perfume, jewellery to leather goods, a list of chic yet independent shops to discover and buy directly from the artisan makers. 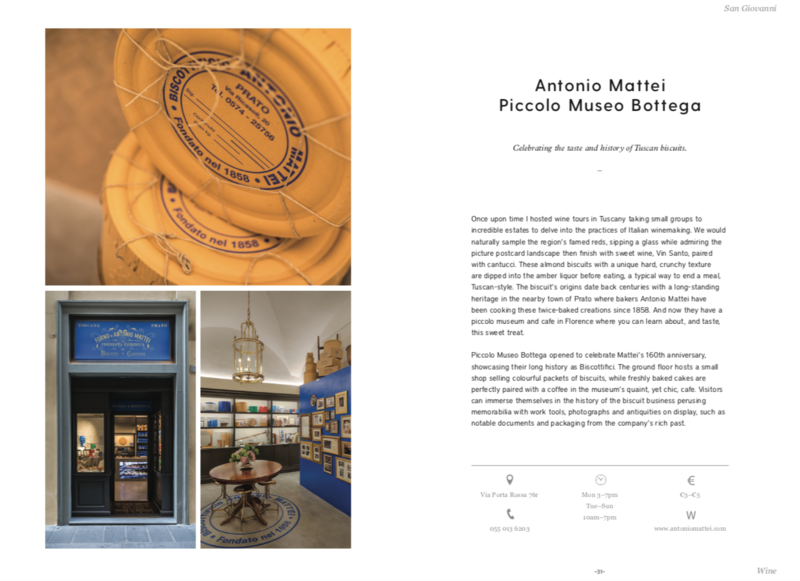 * NINE: top nine ‘best of’ lists including Sleep (boutique hotels), Markets, Beauty, Aperitivo, Gelato, Pizza, Green Spaces, and traditional Trattoria's. * THE ESSENTIALS: info on getting there, what to wear/pack, tips and tricks to live like a local. * OUT OF TOWN: itineraries to Siena, San Gimignano, Chianti and Cinque Terre.